You just never know what will show up on YouTube next - everything from education to entertainment is a mere click away and new videos go viral every day. It's always interesting to find a channel that specifically focuses on a particular topic and regularly adds videos that deepen the viewers' understanding of the subject; 8-bit Philosophy is one such channel, dedicated to describing complex subjects and philosophical problems using assets and footage from old-school games. Just recently, the channel put up a video using sprites and assets from Super Mario Bros. 2. Through Mario and his friends, the video endeavours to explain how Calvinism influenced the creation of Capitalism and how that in turn affects the modern workforce of America (and many other countries besides). It's a fascinating and mildly disturbing watch that deepens understanding of the foundation of the US economy. What do you think of this video? Do you agree with the points they make? Feel free to debate in the comments below. 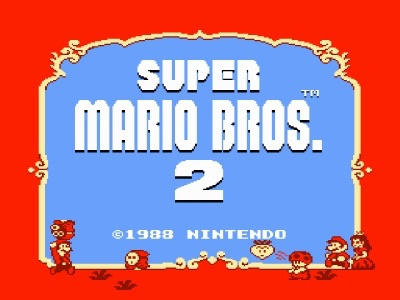 We wouldn't even have Super Mario Bros 2 without Capitalism. How about we keep politics out of Video Games and simply play them to have fun...you know, like in the old days. There are more than enough games out there weighted down by whining about real world issues, wars, political schemes and concepts etc. There is only one problem though with capitalism though... one day... capitalism will collapse on itself. Gamers won't learn otherwise. I know more about the politics in Final Fantasy games than I do real life politics. Wow, the distortions are strong in this film. Why make this if you're not going to bother to be accurate? @ikki5 Every system made by humans left unchanged will collapse on itself one way or another since they are not perfect. Capitalism is freaking terrible but I don't think this video is that accurate or even approachs the reasons why it is. @Warruz You'd have to change the philosophy of Capitalism entirely for it to not collapse though making it no longer capitalism. How ironic, using something created by capitalism to speak out against it. And then to mix in religion, a divisive subject to an already divisive subject is just plain stupid. This film is just awful, regardless on any feelings towards the subject. I couldn't really see much of a link between the content of the presentation and SMB2. It could have been pretty much any source material, borked to fit the message. But I'm quite happy to blame it all on bible bashers. The good news is that it doesn't affect me too much and I manage to maintain a pretty good life of laziness and low aspiration. That's a dangerous mindset that just because I'm a gamer, I don't consume news and media or participate in society. @ikki5 most collective human behaviour is in danger of collapsing on itself. It is our natural contradictory behavior. It's why we need variety, or a variety of systems. Capitalism isn't something bad to have. What's bad is the thirst for money and power that turns some of us greedy. It's what makes executives knowingly release broken games to the public before they are ready. I wish there was a stronger system of values to make us responsible for others, and to be more open to variety, so it can keep us from going too extreme in any direction, be it capitalism or socialism. Please don't post this kind of tripe. I left Kotaku for good to avoid this. And encouraging people to debate the points made in the video...you're just asking for it, aren't you? I'm having to show the utmost restraint to avoid engaging the video and a couple of commenters already. So please, no more of this. I feel like I've been seeing a bit more of this political/SJW Stuff lately. Please stop. Just no. Protestantism teaches salvation by faith, not works. I have never met a Christian that thought "If I don't work hard enough, I will be sent to Hell." This video's points on Calvinism and capitalism are made so poorly it's not even worth anyone debating it. I did enjoy watching their use of game sprites, though. @Quorthon I don't think that's necessarily true. Profit is not a necessary driving force for creativity. I never said anything about creativity. Where did video games come from? They came from capitalist environments. Every innovation you enjoy in your daily life came from capitalism and capitalist ideals. No government or financial system is perfect, but our greatest innovations, and our modern comforts came from capitalism. At the end of the day, almost everyone who whines about Capitalism has either A) never lived without it or B) never actually experienced it (say, like North Korea). Hell, the modern internet you now use, came from capitalism. "Do you agree with the points they make? Feel free to debate in the comments below." Why is a Nintendo website looking to start a debate about capitalism?? This is literally the stupidest article I have ever seen posted on here, and that is saying something. @Maelstrom. There are actually Christians who are under the impression that work leads to one's salvation. The Christian name "label" is also very loosely applied to many religions today wether they truly follow the Bible and teachings of God or not; such as Catholics, Jehova's Witnesses, Latter Day Saint Mormons. Those such followers have twisted views of the Bible. Calvinism is just another twisted view derived from the mind of a man who didn't connect the dots in Scripture. This video is trolling....it's not credible, I don't know why it was posted here other than to spark a debate. And no, the fact that it uses Super Mario Bros 2 to explain it doesn't justify it. Also, @Zach777, I agree. If we could work our way to God, why would we need Jesus? Wow, this nonsensical farce doesn't even rise up to the dignity of a response. @Quorthon The internet came from the military. @Maelstrom Nowhere has pure capitalism other than the black market. The government bailing out massive companies that failed is certainly not part of the theory. Funny use of sprites, poorly made points. While it is true that Calvinists believe in predestination and keeping salvation, I've never met one that applied it to a workplace... Rather, in religious matters. @unrandomsam Yes, I did specify "pure" capitalizm. I, for one, think the government should just let companies die. But that doesn't mean that will happen. @Quorthon "Every innovation you enjoy in your daily life came from capitalism and capitalist ideals." No. They came from smart and creative people. "Where did video games come from? They came from capitalist environments." They also came from creative environments. I don't think capitalist societies are the only ones that can enable innovation. Hell, Tetris even came from communist Soviet. Capitalism is a gift to all mankind. Mario 2 came about by capitalism. Mario 2 is a gift to all mankind. Bah. Why bother debating the topic when everything in society will eventually become obsolete? I get that we live in the present and have to try to preserve and restore what we have to a mirror sheen, but everything, and I do mean EVERYTHING, that was ever created by the hands of man has been reclaimed by nature - whether or not we destroy it with our own hands. Debating capitalism is futile. It will fade, just like everything else. Besides, YouTube is the last place you want to go to try to find enlightenment. Just about everything there serves to entertain. You want enlightenment and education? Go to TED.com. @Maelstrom. Correct, Calvinism is the belief in predestination, or their five commonly associated points, TULIP- Total depravity, unconditional election, limited atonement, irresistible grace, and perseverance of the saints is TULIP broken down. At any rate this belief sets up a person for a strong desire for hard work and labor, not necessarily to earn salvation but to prove salvation. How else can you prove you have been "among the chosen" but by working hard and being a good person? You see what I'm saying? Where's Karl Pilkington when you need him? @Zach777 Yes, I do. Yet, I have never heard that philosophy before despite learning about it. Yet, why would one need to prove it when the outcome is the same anyway? Again, predestination. I know politics are a way and staple of life, but could we just have one site to come to that doesn't try a spark a debate that will no doubt turn nasty? If you want to get people in a comment section mad, discussing politics is a sure fire way to do it. @Zach777 "The Christian 'label' is also very loosely applied to many religions today wether they truly follow the Bible and teachings of God or not; such as Catholics, Jehova's Witnesses, Latter Day Saint Mormons. Those such followers have twisted views of the Bible." Oh goody, another religious zealot who thinks they know the exact word of God. Religion is one of the few things on this planet that can give people either salvation or hope, and while I don't agree with how most of the overzealous fanatics interpreted mere phrases from the Bible, those who get the general message of living like functional human beings should be able to continue to do so. What they interpret and how they interpret the scripture shouldn't matter. It's that way of thinking that leads to "religious" conflicts or fanatics like the Westboro Baptists. Take your rhetoric elsewhere. Do you think this video has a point? Feel free to comment below and let us know what you think! "It's that way of thinking that leads to "religious" conflicts or fanatics like the Westboro Baptists"
Don't forget the Islamic terrorists who kill hundreds of people daily around the globe! @MasterBlaster Dude, I get that it's probably a parody, but I wonder if they'd use Metroid clips for PETA ad campaigns? Maybe even StarFox? That's one awkward video. I don't really want to get into its various issues, but I will point out that capitalism does help people, including the average worker. Capitalism means competition, and competition means advancement. Conveniences and advantages average workers enjoy are often direct results of capitalism. Capitalism also means opportunity, so that average workers can advance, which is incentive to innovate and work harder. @MasterBlaster Yes, that too. However, let's not forget that ALL extremism is bad: Political, religious, ethical, etc. @kensredemption Oh look an angry guy who hates everything not involving the monkeys to man religion. Listen moderator, before you try and plant words into my mouth and make it sound as though I said things I didn't say concerning myself, like I know the exact word of God, try simply reading what I said in plain text and studying it out for yourself. Of course how you interpret Scripture matters, it forms how you respond to the world around you. Remember the so called Holy War Crusades? Misled, misinformed "Christians". Wether Calvinism actually influenced Capitalism or not I don't know. But my personal philosophy on politics is that nothing will work for everyone. Meaning that no matter what policy is passed and how many people it benefits there will always be somebody that it just won't work for. So it's finding what works for the majority that, unfortunately, must take the priority. And so it varies if it's capitalism or communism or something else depending on the person. @Maelstrom the burden to prove you are chosen falls on the unsupported belief in predestination to the degree to which Calvinists hold their view. Since the Bible does not support this view, yet they believe it regardless, they must therefore live out said belief in order to prove their belief is substantial. Support your belief by acting it out, if you will. @ericwithcheese2 I think we should be able to have discussion without it turning nasty. If it does, the people being nasty are to blame, not the discussion. That said, I don't read this site for politics, but banning that sort of discussion doesn't seem right, either. It's a site to discuss videogames, not religion, homosexuality, politics, gender inequality, racism, etc. Yet some "journalists" here are so desperate for clicks they try to find tenuous links between videogames and those aforementioned subjects to spur debate. I lost it when Toad said "Godless lazy heathens!". It doesn't sound like something he would say. Yes, Tetris came from Soviets and literally only found its way to the world by Capitalism. Had Tetris not been discovered by Capitalists, no one would even know anything about it now. The Soviets were very good at strict secrecy and suppression, and the artistic environment of that environment was geared almost entirely around celebration of their government system. So much so that the CIA was able to use modern art as a "weapon" against the Soviets. Your arguments are all missing the point (I'm wondering if this is deliberate) and quite terrible. 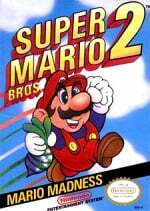 Suffice to say, without Capitalism, we likely would not even have Super Mario Bros 2. The problem with Communism (one of the problems anyway) is the State as the center of the lives of the people, so if it didn't benefit the State, then it has no purpose. This is an over-simplification, but relevant nonetheless. Capitalism exists outside of the State and benefits people, and any individuals (or group) willing to work for it. Yeah the video is pretty bad. Sometimes I feel we should focus on the way things work well and how we can improve them, rather than always tearing things down. I'd guess that anyone who agrees with this video probably had the same opinion beforehand. oh, not heavy-handed politics in my vidya, please. not to mention socialism/communism failed because it's more reliant on the human condition. I couldn't find anything accurate in this video. Not about Calvinism or capitalism or a correlation between the two. All branches of Christianity encourage hard work. That's just part of the Bible. But thinking that hard work is an idea unique to Christianity is insulting, even as a Christian (and Calvinist). Thinking Calvinists feel some kind of anxiety from a slave-driving god shows these people have never actually met someone who professes Calvinistic (or Christian) principles, and thinking people living in capitalist societies are the only ones who experience anxiety is among the highest levels of stupidity available on the internet. @MasterBlaster I agree this link was a very weak one. It's just a video that happens to use graphics from a game. However, I think discussing racism, sexism and other issues in the context of video games is perfectly fine, just as in other media/pop culture. If a game brings up the theme of racism, for example, why shouldn't it spur a discussion? I'm VERY grateful the comments on here are what they are. This video was, in an attempt to be truthful, very flat. It fell in it's effort to eschew truth in favor of an anti Christianity focus. I can't say who made it, my guess would be an athiest but all I saw was that the only people who work hard are those who fear damnation. Perhaps the creator wishes everyone to stop working in favor of government welfare? Without Capitalism, there wouldn't be Super Mario Bros 2, Youtube neither NintendoLife. Not even personal computers connected to the internet would exist. Just think about it. @Quorthon I think we're talking around each others' points. I agree SMB2, specifically, likely wouldn't exist without capitalism in Japan. My point always was that capitalism isn't necessary for innovation. More generally, I have an alarm that goes off when someone praises capitalism too one-sidedly. It's important to see both the benefits and problems with all things. Most countries with a capitalist foundation regulates trade in different ways, and balances out the free market with social welfare of some kind. Capitalism doesn't ensure a tolerable life for everyone. Because this is a website to discuss NINTENDO GAMES, not those other issues. If I want to discuss those other issues, I will go to a news website or a site specific to religious/gender/political discussions. Do you think if someone posted a video on a pro-gay forum that explained, using Nintendo characters, why homosexuality is bad (not my belief) that the users there would then be arguing in the comments section about what Nintendo game is the best? No. They would be discussing the message in the video, which is the basis of their site. Discussing news and issues pertaining to the gay community. So why is a website dedicated to video games (specifically Nintendo) looking to stir a debate about religion and capitalism? It's stupid and makes no sense. "If an issue is relevant, bring it up! (In this case, though, again, there is no relevance.)" I should clarify my statement. Ok, we both agree this article is trash. There is no link whatsoever between the topic of discussion and Super Mario. It's lame, and the author and website editor should be ashamed. I think if there IS a real link for a discussion though, like how someone in a game is portrayed, that should be fair game for comments. This one however has gone completely off the rails and has NOTHING to do with either video games or Nintendo. If you're good at math and gets a 9/10 on exams and all your friends get 5 and below, you pass and everyone else fails. That's capitalism for dumbs. If you get a 9/10 and everyone gets 5 and below, the teacher adds everything then divides by the total number of students. You won't get a 9 anymore. That's communism for dumbs. Many of you are completely missing the point of that video. It isn't trying argue for or against capitalism, in fact the creator doesn't say how you should think about the subject – it's simply reciting the thoughts of famous philosophers. Had you checked the channel in question, you'd know that. So does this mean this website NintendoLife is officially communist? The video does kinda come off as very anti-religious with things like Mouser going, "Work hard or go to hell." (As a Christian, I can state I don't have that mind-set.) Just seems like very painfully political propoganda to me, and typical anti-religious liberalism, rather then just an "observation" to the flaws of the capitalist system. Way to go, NintendoLife. Just look at the comments page you've spawned. Time for you go to the corner and think long and hard about what you've done. @hiptanaka This discussion turned nasty with some people within the first few comments. I don't have a real problem with a comment string drifting off topic towards other areas of life, but this article and it's last sentence seemed to go out of its way to start a flame war. That's the problem I had with it. Everytime I see a Shy Guy now I'm going to say "Godless lazy heathen!" @hiptanaka You give too much credit on innovative people and not to the environment that made capitalist ventures back then. Miyamoto would not have made Mario if it weren't for a capitalistic environment, Sega would not have sprung up and put forth a challenge if not for this very same environment. Capitalism is not inherently evil, it is within the middle-ground that which makes it such an effective tool, the problem is, like communism, it has been radically twisted. 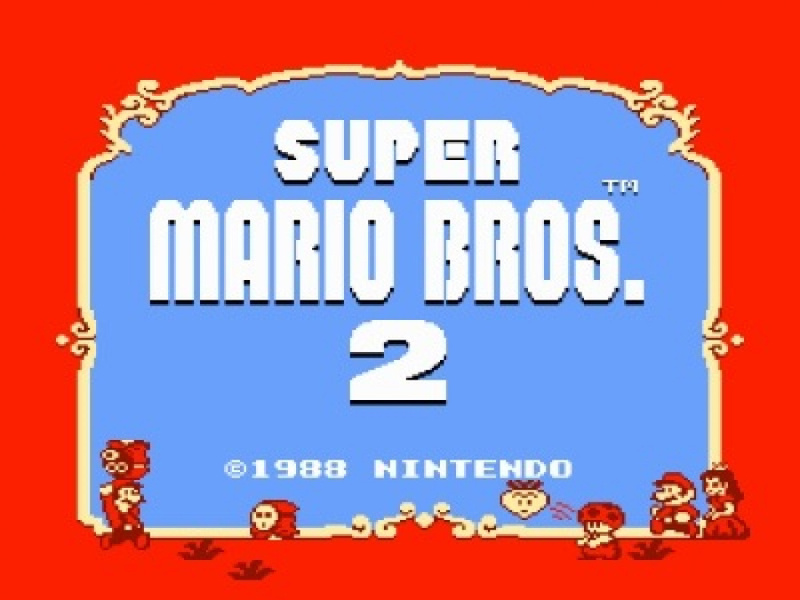 Ironically enough, this video with using SMB2 sprites, is one of the finest examples of Capitalism (the Video game Industry, whether we like it or not sprung up from capitalism especially in the era it was made and for the next era that came as well). What's wrong y'all? I come to this site to read about games. Not politics, not opinions on modern society or social status, just games. Please stop taking articles from Kotaku, I and many others avoid that site for a real good reason. Money really is the source of basically all evil and unhappiness in this world and if people don't believe me they should try watching the Zeitgeist films, particularly the last two that are a bit less heavy on the "conspiracy theory" stuff and deal with the kinds of issues we should all be far more aware of, because it's shocking to realise how trapped and controlled we all are, by the money and the bankers and the mega-corporations and the politicians, and even more shocking to see that it really doesn't have to be like this. I have a feeling that Cease and desist will be issued soon by either YouTube or Nintendo. Although I got a good laugh out of that one the subject was actually very deep. There's only one major source of Capitalism right now, and as far as the majority population goes, businesses' practices are reigned in well enough by government. However, Capitalism does have some very major issues - people. People in government screwing up the rules, people in management positions caring only about the shareholders and not the STAKEholders, etc. Communism and Socialism at least have fundamental flaws that keep them from working. Valiant effort. Capitalism, there is no reason that we shouldn't be evolving rapidly as a society due to its proper use, save for one reason - greed. The video references protestant beliefs without mentioning the belief that those who work hard should reap the benefits of their labours... I don't know enough of the sects of protestantism more popular in the U.S. but that gives me questions. Do the events in this whole video look like what would be said or done in the Mario universe? @Einherjar too many people today play video games and watch no tv or movies, or pay attention to current events etc... So this is why some gamers or devs feel the need to have a story that is deep and meaningful in their games. So make them seem less like a nerd and more like a normal person and then they look at me playing Mario and Zelda and think im the loser. But I pay attention to the real world and video games are just that, video games. Not my solution for learning about real life things. I accept that there are all kinds of gamers out there, but the majority of modern gamers do not accept that the video games are just video games. They need to them to be something profound and meaningful so they don't have to be a nerd like me. as long as my kind of gaming exists, ill be happy. and as far as im concerned, 33 years old now, and despite getting married, having 2 kids, job etc...gaming has never been a bigger part of my life then it is today. My wife and I thought id out grow it, but instead they just grow with me. Mario games are better today then when I was a kid, but they story is the same. Bowser kidnaps princess, Mario has a new suit to rescue her. I'm not watching this video. Seriously NintendoLife, stop bringing up political stuff. Youre attracting unwanted attention, and causing meaningless arguments among the commentors. Let's just play video games without real world problems bogging us down, eh? Dear god, what is happening with Nintendo Life? This used to be an excellent site, now it's turning into kotaku. Why do game "journalists" have to turn everything into a heated political debate? This is why adblock stays on. I'm all up for Weirdness articles, though not when it's about politics. I'd just look at the newspaper if I want to know about political stuff. If whoever posted this wanted a true and better "Mario comparison to something" that actually hits upon something Nintendo-related, they should have gone with Seanbaby's article on cracked.com using Super Mario Bros. to explain World of Warcraft. Not only is it really funny, it's also topical (if old, but still a better choice). Much more relevant to this topic and video games (cuz this video isn't), go read up on the creator of Tetris. I was curious, wondering what happened to him. He must be richer than Putin, living it up in an old abandoned estate from the pre-Bolshevik era. Seriously, go read about it. It'll tell you everything you need to know about the real-world ramifications of this topic. This guy is just an ignorant socialist trying to take a jab at America. Capitalism drives innovation- which actually makes life easier and better. That's why the US is the world power and socialist nations like England and communist ones like China will always be weaker, offer less freedom, and be generally less-advanced nations. And you can tell by his accent that he lives in a socialist nation, so he doesn't even know what he's missing. Wait til they hear about Captain Toad's (and Toadette's) capitalist quest for treasure. NO NO NO! He isn't a bitter commie out to get 'muricans. He's reciting the writings and thoughts of philosophers throughout history trough the means of a humorous video. For heavens sake, he isn't a crazy agitator pushing his agenda. I urge you to check out his channel if you're interested – there's some good stuff in there. @Donutman Id love to have a feature to upvote you post ! Very very nice read, and i agree completely. And yes, as long as there is this safe haven for games to be just that, games, i dont really care how many other kind of games there are. Funny thing: This is exactly why i never even started playing "The last of Us" because i couldnt stand its melancholic "oh, maybe we are the real monsters" philosophical tone. BUT i love "Uncharted", made by the same people, basically the same gameplay and yet, its overall tone is completely different and much much more fun. Adventure Dude finds a new clue, goes out to find it and shoots a couple of other dudes. Thats all it takes to entertain. You know, I think it speaks a lot about my character (or lack thereof) that I worry about moving away from Capitalism mostly because I fear of what it would do to my game-purchasing abilities. But in all seriousness I believe the big problem with capitalism isn't even pure capitalism, it's when croneyism gets mixed in. When government regulations grant special favors to certain businesses who give money to the right politicians, then competition is choked and innovation stilted. Unfortunately, this being the internet most people didn't even bother to watch the video or try to understand it. They just read the poor headline and promptly lost their sh*t over nothing. @mozzy1 Well said. That video was nothing but nonsense. Why ask the question "is capitalism bad for you" if they aren't even going to discuss that topic? It has parallels to religion? Okay. That makes it bad for me because...? And if it's bad for me, what are the alternatives that are better? I think we should discuss a more relevant topic: Why becoming Kotaku is bad for site longevity. People avoid Kotaku for a reason, don't be a Kotaku, Nintendo Life. @ClockworkMario I'm not missing the point of the video. I watched the video. The video was crap. The video is titled "Is Capitalism Bad For You? ", yet doesn't even begin to approach discussion of the topic they proposed in their title. As you said, it just repeats some stuff some philosophers said. That's why it's crap. If you're going to put out a video called "Is Capitalism Bad For You? ", then talk about why capitalism might be bad for me. Talking about religion and kinda maybe comparing it to said religion doesn't get me to ponder the question they proposed, it makes me wonder why they put out such a poor video that doesn't match the title and doesn't even offer any alternatives to consider. I would urge people NOT to watch this video. It's not worth watching. It has nothing of value to say. It has nothing of value to contribute to any serious discussion about capitalism. The video is nothing more than "here's some guy who wrote a book here's a few lines from his book the end hope you enjoyed the completely irrelevant pictures from Mario 2". This video is almost as bad as the video that called itself "This is Phil Fish" or whatever, but I turned off after 6 minutes because they spend 5 of said 6 minutes talking about Nickelback for absolutely no reason whatsoever (yeah dude, we get it, people don't think they earned their popularity and the same applies to Phil Fish, we get it, move on already. no, not going to move on, okay sod this). And no, I won't check out more of the channel. The video was bad. I don't check out the rest of the channel if the first video I watch is bad. @MasterBlaster I lol'd. Pretty much this article in a nutshell. Finds random (and terrible) video that uses video game graphics for no reason, links it because why not drum up some more clicks. GameSpot and Kotaku at their finest, except I'm fairly certain I didn't type either of those URLs into my browser's address bar, so this is rather strange indeed. ...that's not how Calvinism works. As a person from The Netherlands, one of the original 'calvinist capitalist' countries, you can still see it in the work ethic of some people, despite most of them not being protestant or otherwise religious. Some might even say this is where the problems Europe currently faces stem from. The north is traditionally protestant and considers certain luxuries to be something you must earn. The south remained catholic and therefor doesn't have this ethic as strongly, leading to differences in how people approach labour, money and how all these things relate. I didn't find anything profound and this did not leave me with a sense of things to ponder, actually. One, the question that is asked is left hanging and does not give answers to the viewer. Thus, people that are labeling this video as poorly researched and terribly executed is sound. Two, It only gives sources to support their argument while not also giving an alternative. It is clearly biased and holds no merit to be considered intellectual. If this were a thesis, I'd be failing this for not showing any alternative point, poor methodology and data collection. I'd be sending this back to its researchers and suggest a topic that the researchers have no clear bias in. This is straight up propaganda, intellectually dishonest and absolute garbage. It is better left said that the reader or viewer research the topics themselves rather than to listen to this tripe. 0/10, would not recommend this garbage and only wasted my time. That being said, NL, you are better than this. I was trying to point out the fundamental difference between arguing for a point and summarizing the works of others, since that seems to be lost on many. He isn't saying "This is why capitalism is bad for you!!! ", he's explaining what Karl Weber thought of the subject: that is, the constant demand to produce more and more in the face of severe punishments creates anxiety, a cage of sorts. Wasn't that fairly evident from the video? I'm not saying to agree with it – I certainly don't – just don't burn down the movie theatre because you disliked a film. I recommended his channel to give an overview of the content he produces and therefore making my own point stronger: he has talked about Plato before, but I doubt he believes the real world is but the shadow of a world of Forms. About the video itself: a few very rough conclusions have been drawn from the work ethics lifted from religions, for example when trying to interpret the differences in mind set between Northern and Southern Europe. The idea is that in the reformed countries a thought of working hard has been etched in the minds of the people, whereas in catholic states people are a lot more lenient or to be cruel, lazy. This all seems rather flimsy and oversimplifying, though. @Einherjar thanks . I loved uncharted and last of us, but for 1 playthrough then I moved on. I logged a lot of hours of uc2 multiplayer, but no story, just solid awesome gameplay. Survival mode was awesome. Most of my PS3 games only got 1 play, but even mario strikers still got some play time last weekend.